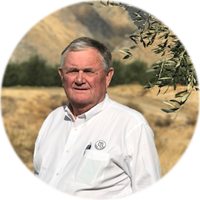 The Nickel Family is a 6th generation of California farmers who embrace diversification, conservation and vertical integration. Each generation has contributed to the growth and success of Nickel Family LLC. George Nickel Jr. along with his son James (Jim) L. Nickel incorporated Real Estate and Property investments as well as integrating orchards into the row crop operations. The Nickel Family currently owns and operates Rio Bravo Ranch in Bakersfield, CA, as well as San Juan Ranching Company in Dos Palos, CA. The 6th generation wanted to produce a premium food product and felt the old Merle Haggard almond orchard, located at the mouth of the Kern River Canyon, would be an ideal location to grow olives for the production of quality extra virgin olive oil. Research proved that the land would be a great fit! The frost potential during the harvest season is minimal due to the air drainage flowing out of the Kern River canyon. The air drainage and minimal precipitation also prevents moisture from forming any mildew on the olives. 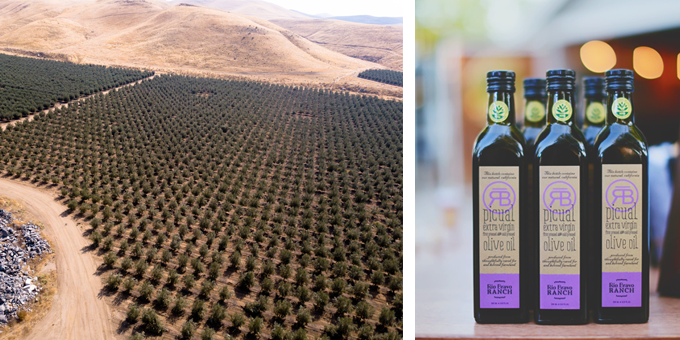 The soil is deep, sandy loam, which allows the olives to develop a strong, robust flavor and produces award winning oils. The olives are organically grown and will be certified organic for the 2018 harvest season. Any day we can spend with family and friends enjoying a good meal with quality olive oil is a perfect day. You can purchase our oil in local Bakersfield stores like Vons in the Marketplace, Coseree’s Deli, Soapterra, CA Fruit Depot, Sully’s Chevron, Buzzard Gulch, and more. You can also purchase our oil at local Farmer’s Markets and on our website.